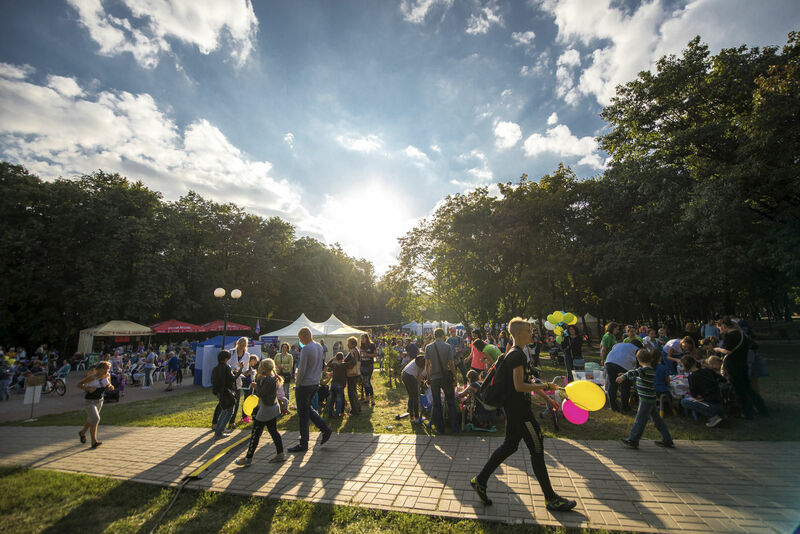 Christian Festival "There is a way out in God"
From August 31 to September 2, 2017 a festival “There is a way out in God” was held at Svyatoshynsky district of Kyiv, in the International park, near the Leipzig cinema. The event was organized by the Peace and Welfare charity foundation and by the Victory Christian Church. Truly it was a real holiday for both adults and children! 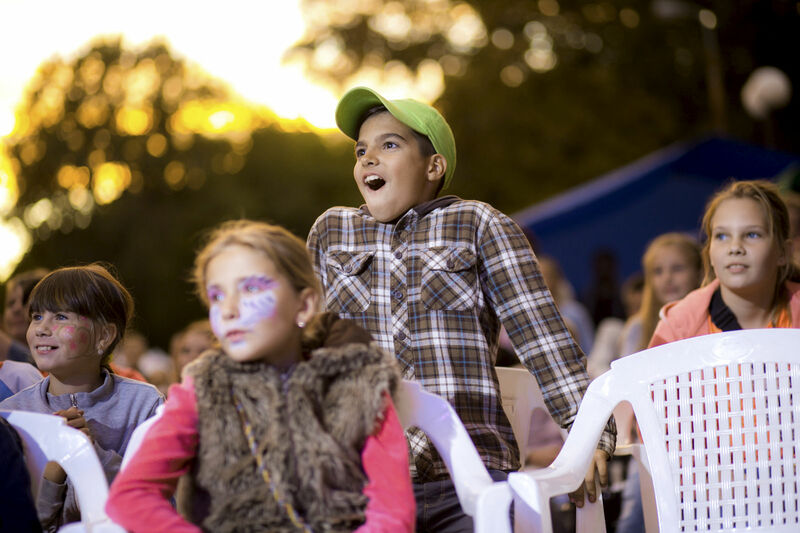 Approximately 10,000 people attended the Festival within three days. 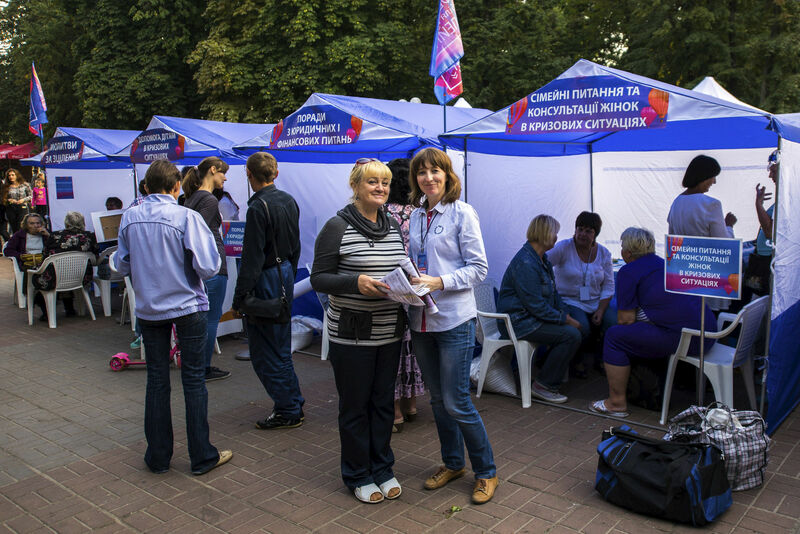 Each person could find an occupation after their own heart on the Festival ground: several dozen tents worked there with various types of charitable assistance: financial and legal consultations, master classes on hand-made products, several photo-zones with professional photographers, counselling for drug and alcohol addicts and their families, help for women in crisis situations, prayer for healing. 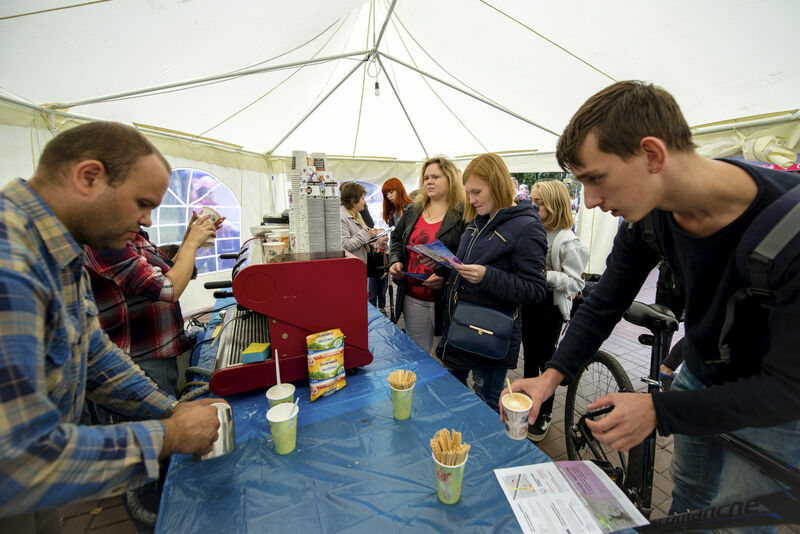 A tent where tea and coffee was served free of charge was full of people, and children also had their ice cream there for free. In the medical tent anyone could get an advice from a professional doctor, use a massage bed, as well as to have a free fluorography. The rehabilitation therapist showed many people how to control their body with the help of physical exercises and tested about 100 people with problems in their back and joints. In the territory of beauty any woman could get a beautiful make-up and to make a hairstyle or simply cut her hair. The tent of help to the needy fed about 600 people with hot meals and dressed almost 200 people from low-income families. 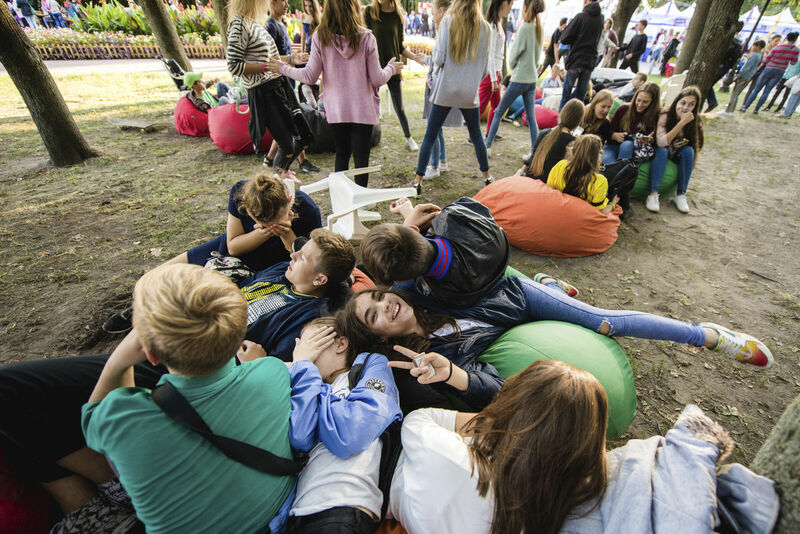 For young people there were equipped a separate art space with table-top games and other active games, a photo-zone and special communication space. 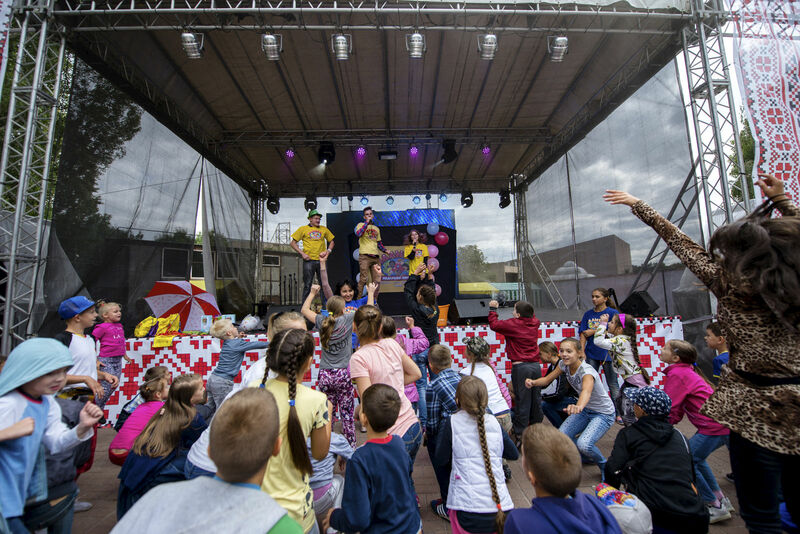 About 800 young people heard about Jesus in the atmosphere of fun and relaxation. 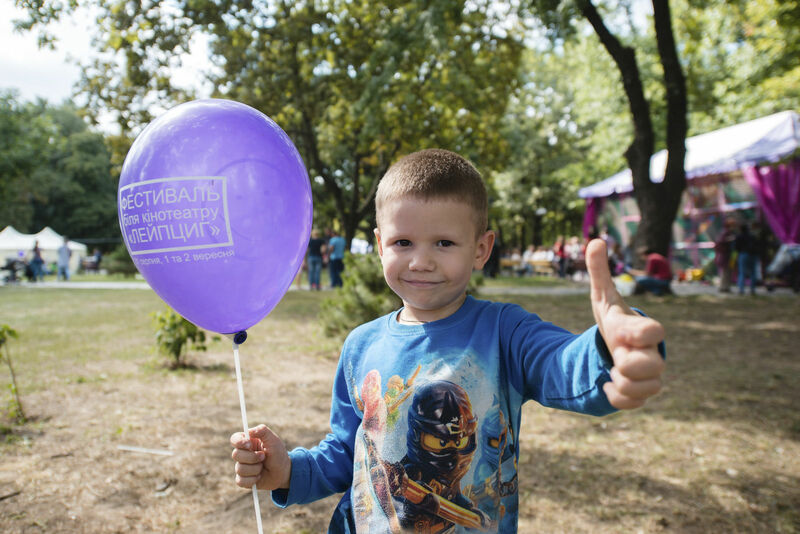 Planet of Children Ministry arranged a wonderful holiday for kids: the show of soap bubbles, trampolining free of charge, games, competitions, dances, aqua-make-up, braiding braids and lots of gifts. The children and their parents were simply delighted! The smallest kids were not left unattended too. There had been prepared a special program for children from 1 to 5 years old. Parents were smiling, seeing how their babies squeaked with joy overflowing with emotions. The scene worked non-stop from 11 a.m. to 11 p.m. for three days. 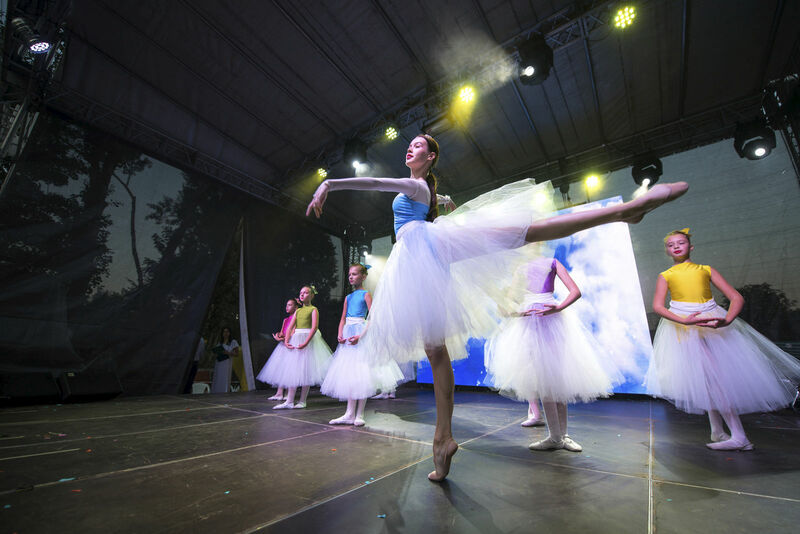 There were performances of Christian singers, talk shows with representatives of various ministries of the Victory church, master classes from specialists in healthy lifestyle and dances, theatrical and dance performances, laser and fire show and colorful fireworks. Also, a lottery was held with the main prize — a trip for two for a week to the Carpathians. About 3000 people took part in the drawing! But there was only one lucky person, or rather, she – a woman :) Lucky one! Every evening on the Festival stage the senior pastor of the Victory Christian churches Henry Madava preached the message of the Good News. He spoke about Jesus Christ and His saving power, made an altar call and prayed for people’s healing. 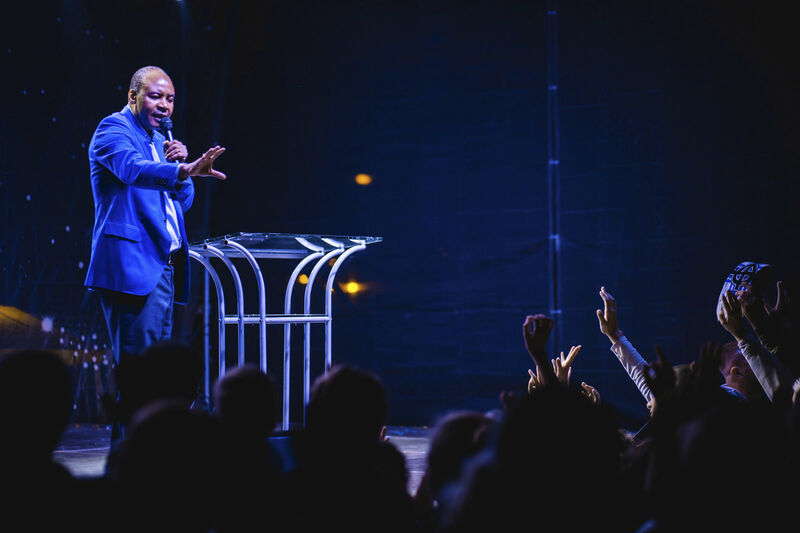 During three days about 1,700 people accepted Christ as their personal Savior, and many of them testified from the platform about their healing. Everyone was happy with this holiday: both the participants and the ministers. Thanks to everyone who was at this time at the Festival! Indeed, in God there is always a way out of any impasse, illness and problems. And we saw it with our own eyes during these three busy days.